Like I've mentioned, I'm in total nesting mode This means I've been spending too much time at home in sweatpants making room for the baby. That leads to the fact I haven't been shooting as many looks as I would want to. Finally making me want to look back to my archives and start publishing ALL the remixes I should have published before. 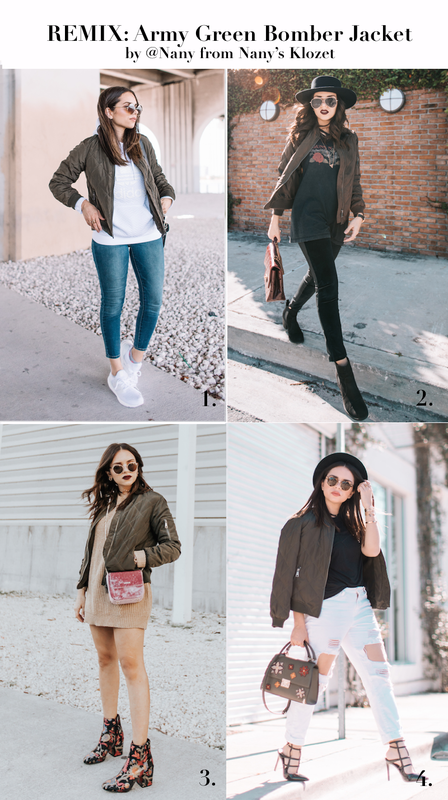 Here I'm showing you 4 ways I've worn this army green bomber jacket. It's such a fun piece that works from errands to a romantic date. Let me know which look is your favorite. Como les he contado, ando en modo de preparación total para el bebé. Hemos hecho tanto espacio y todavía seguimos sacando cosas. Ya su mini-cuartico empieza a agarrar forma. Pero eso significa que no he estado tomando tantas fotos como debería. Y esto me ha hecho ponerme a revisar fotos viejas y me he dado cuenta que estaré compartiendo más remixes de lo normal- todos aquellos que les debo. Hoy les muestro 4 maneras como pueden usar una chaqueta bomber en color verde militar. Cuéntame que look es tu favorito. 1. CASUAL look: pair the bomber with your favorite jeans, comfortable sneakers, and a hoodie. 2. 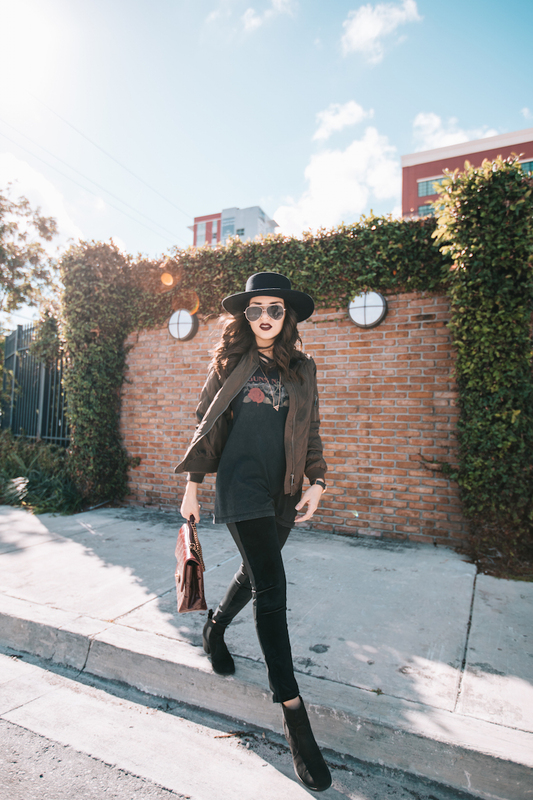 Upgrade your basics: pair the bomber with velvet leggings, a wide brim hat, and a rocker tee. 3. 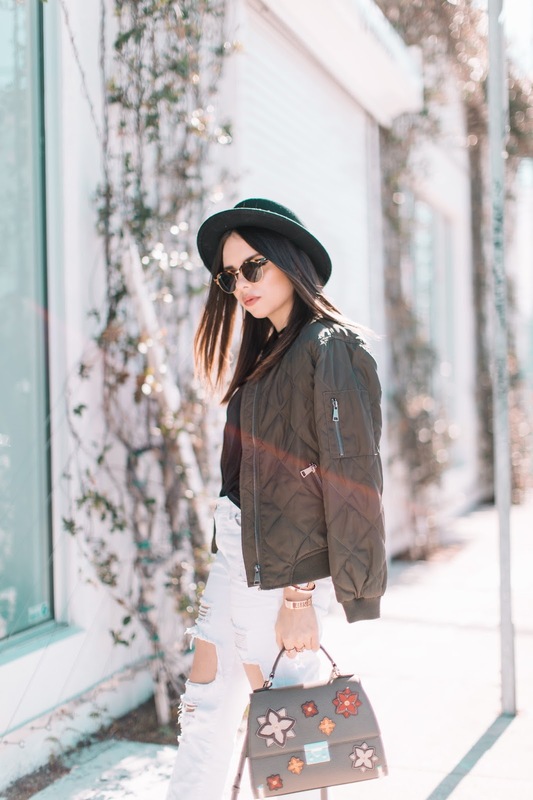 Unexpected color combo: pair your army green bomber with touches of camel and pink. I went for an oversized sweater and metallic floral booties. 4. 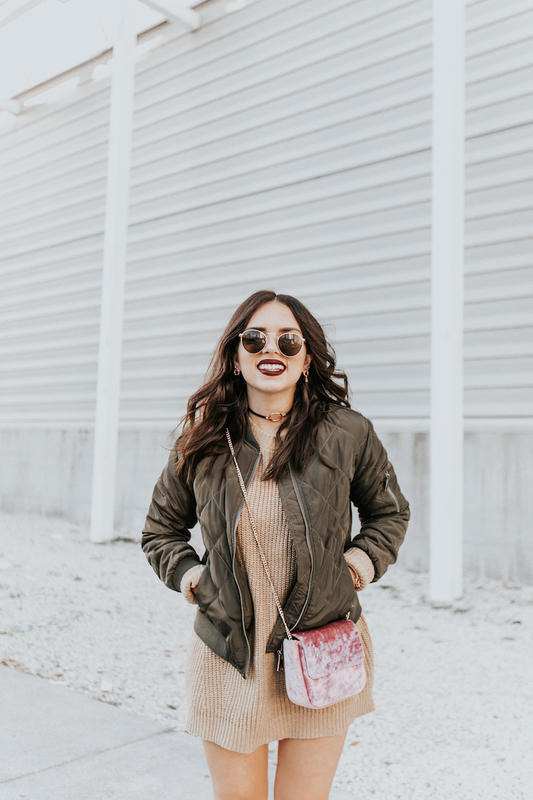 Pair your bomber with white boyfriend jeans, killer heels, and a trendy bag. Daniii, no sabía que versatil puede ser una bomber jacket hasta que ví este remix! De verdad que es mi seccion favorita en el mundo. Mi look favorito es el 1 y el 4! DIVINOS LOS 4 ESTILOS. ME ENCANTA ESTO DE HACER REMIX HAY QUE SACARLE PROBECHO A LA ROPA!